I often hear women refer to the day that their child was born as one of the best days of their lives. I can understand the sentiment – becoming a mom is an amazing thing. However I have a hard time thinking of those days as great days. 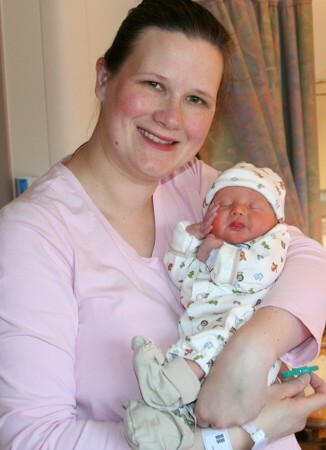 Juliana was born on a Friday at 10:15 pm via c-section. At this point I had been awake for 39 hours (since 7 am Thursday morning) and had been in labor / pushing / surgery for the past 25 hours. By the time they handed her to me, October 21st was almost over. 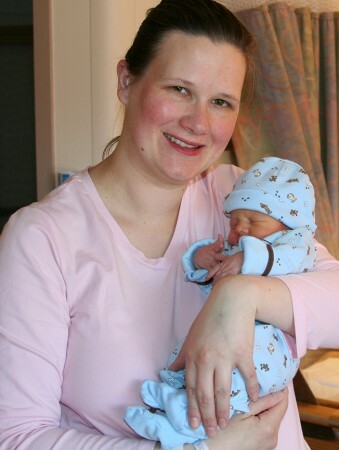 In the recovery room my body started to go into shock – they covered me in layers of warming blankets while Scott and our parents took turns holding Juliana. It was 2:00 am before we were moved to a room and at that point they took Juliana away for a bath and I got some much needed sleep. Other than the moment I saw her cute little face, there is little about that day that I would want to repeat. 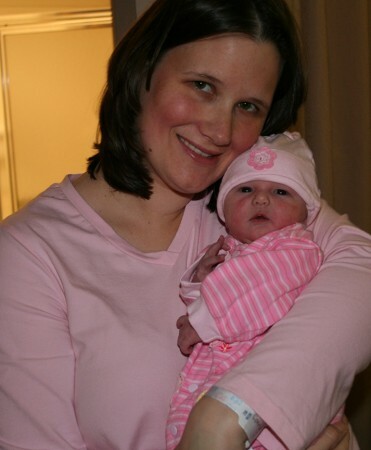 6 years ago today we brought Juliana home from the hospital. She was 3 days old and we were rarely apart during those first few days. We had bonded as a family and I was so excited to take her home with us. This picture was taken in the hospital room right before we left – we were taking our baby girl home and we were a family. That day was one of the happiest days of my life. I decided to look at the going home pictures of the boys and was surpised to see that I wore the same shirt on both occasions. Not planned and I never noticed until now. It looks much lighter in the pictures with the boys since it was a beautiful day and the sun was streaming in through the windows. The day that we brought Juliana home it was overcast and there were little white flakes falling from the sky. that shirt had baby birthin’ mojo. It looks like a comfortable shirt.